Are you a producer of any farm fresh products and would like to transport it to or from Nairobi and Mombasa? Worry no more as Mash East Africa is soon unveiling a refrigerated bus dubbed ‘Laxa Refrigerated’ to ply Nairobi – Mombasa route. This is a brand new bus with innovators technology. This brand new state art bus is fitted a fully electronic independent cool room redefining frozen transport for now and all time. Broiler farmers, fresh water fish sellers from the lake side, florists and other all are now sorted as Mash East African got you covered. Laxa Refrigerated is a one of a kind technology ever innovated in the bus sector by Mash one among the top Bus Companies in Kenya having a recognition as being Kenya most safety and trusted Bus Company. 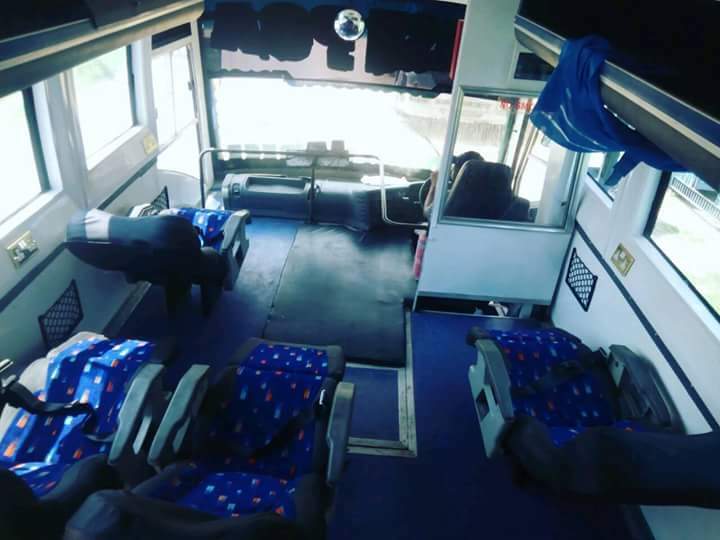 Book a Bus with Mash East Africa and get to enjoy the affordable prices, safe travel and one of a kind luxurious journey to your desired destination. Laxa Refrigerated is not only fitted with the one of a kind refrigeration system but fitted with comfortable reclining seats with ample legroom mostly desired by 'Kings'.